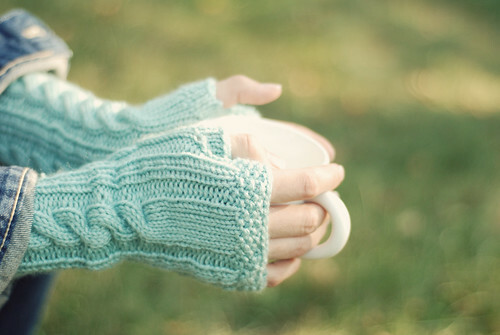 Funny how the weather gets a little cooler and I get the itch to knit and knit and knit some more. It started with a hat – a baby gift for a friend. The yarn for that hat was so lovely that I decided to use the rest of the skein to knit up a little something for me – a pair of fingerless gloves to keep my hands warm on Saturday mornings while I'm shivering on the sidelines of the soccer fields. The pattern is Blue Monday and they were a super quick knit. 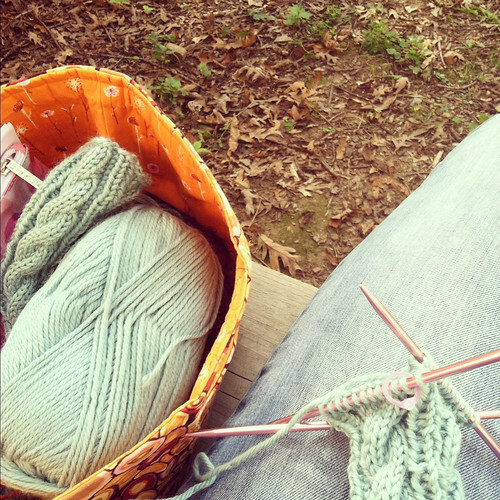 It helped that I had a day off and got in a little knitting time while Walter played in his treehouse. 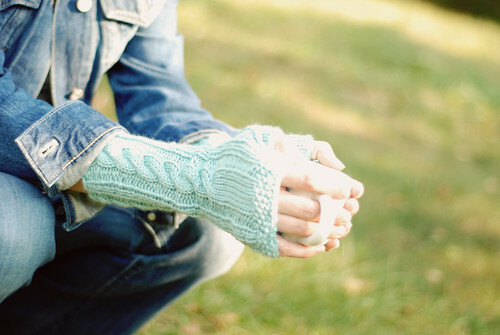 Turns out that photographing gloves on my own hands is harder than knitting them. After several failed attempts with the timer and the tripod, I finally handed the camera over to Walter. He did a great job! 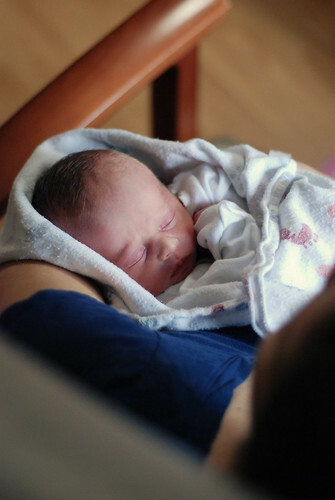 I don't have any photos of the baby hat because the baby decided to join us a few weeks earlier than scheduled. I handed over his hat before I got a chance to take pictures of it. But I've got some something even better. Welcome to the world, Parker! Isn't he a cutie? So pretty. I see you doing great knitting and think I should learn.